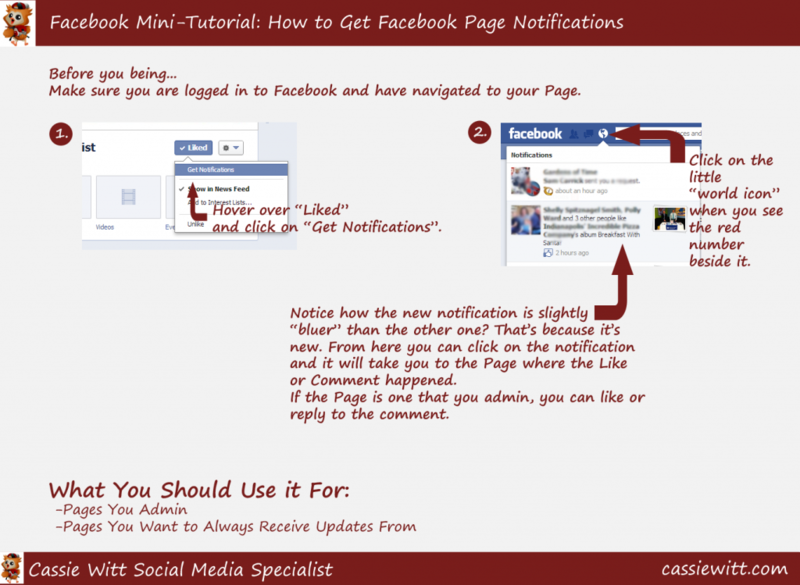 Recently Facebook added a feature that would allow you to get notifications from your favorite Pages or Facebook Pages that you admin. I have been using it for the latter reason for the last couple of weeks, and it’s worked like a charm! Everytime someone posts to or likes something on a Facebook Page I admin, I get a notification. Whether I’m in my browser on Facebook or on my mobile phone I will be alerted. These types of notifications have helped already to respond to customer’s comments in a timely manner. For social media, answering questions quickly is half the battle. Check out my mini-tutorial below to find out how you can get these kinds of notifications, too! Want to know how you can get Facebook updates and tutorial like this, straight to your inbox? Just signup for my newsletter below.